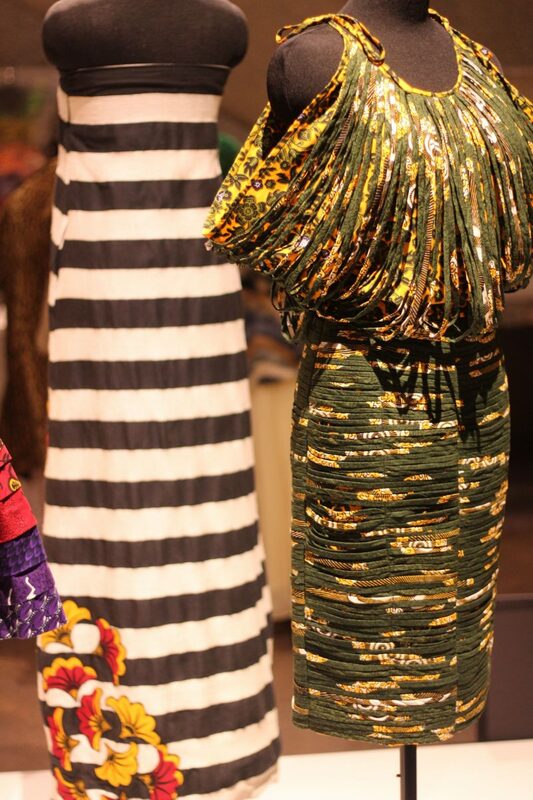 A Night at the Museum | African-Print Fashion Now! My weekend started on a fun, cultural note. 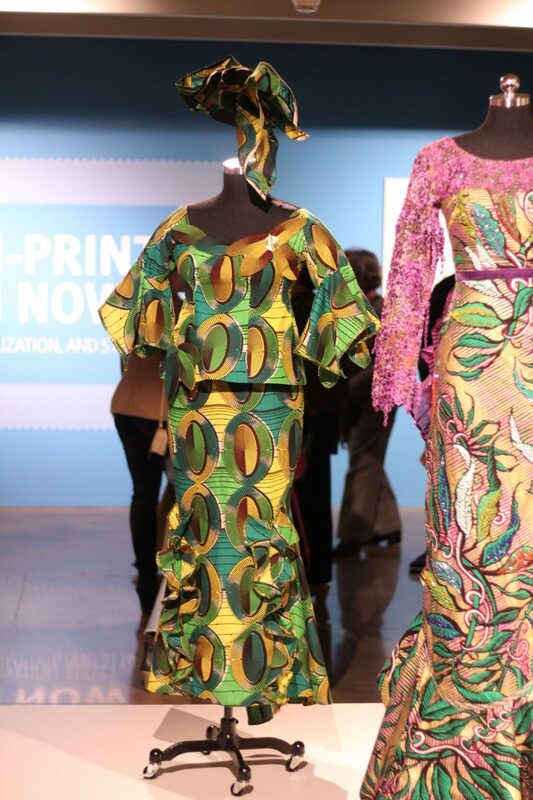 Friday, I was invited to preview one of the most anticipated exhibits at the Brooks Museum of Art, African-Print Fashion Now! 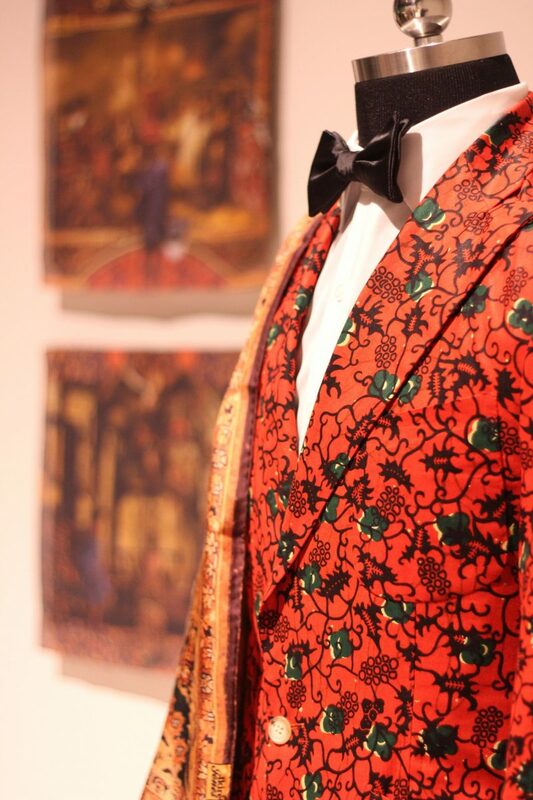 A Story of Taste, Globalization, and Style. 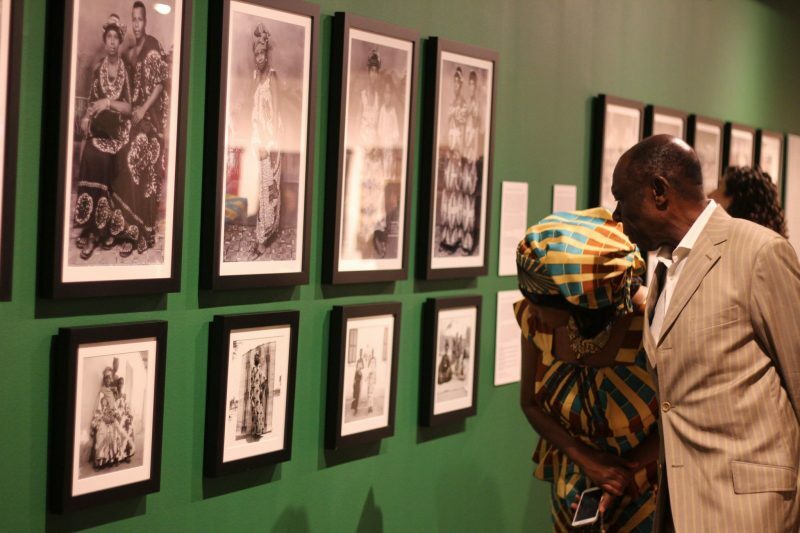 The exhibit explores the traditions of African dress featuring colorful and bold printed cloth. 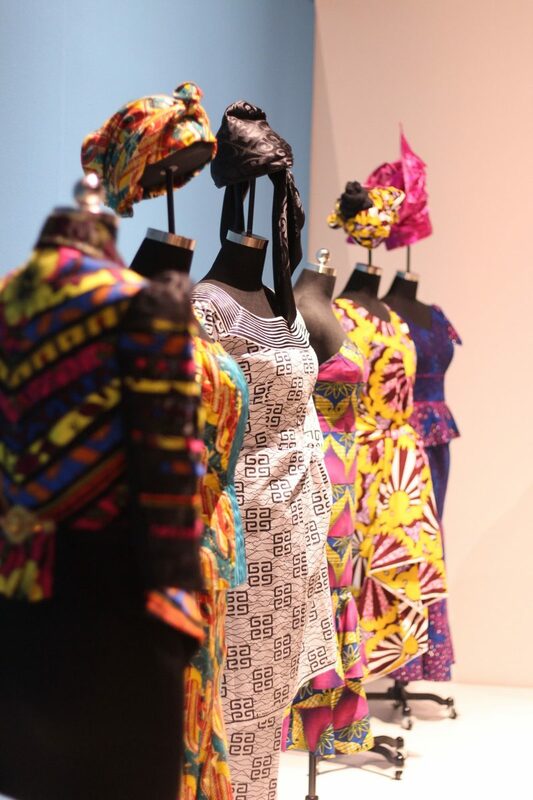 This gorgeous display may be an introduction to some, but for those of us familiar, it is a reminder of how beautifully these traditional fabrics with such rich heritage have transcended and evolved over time. 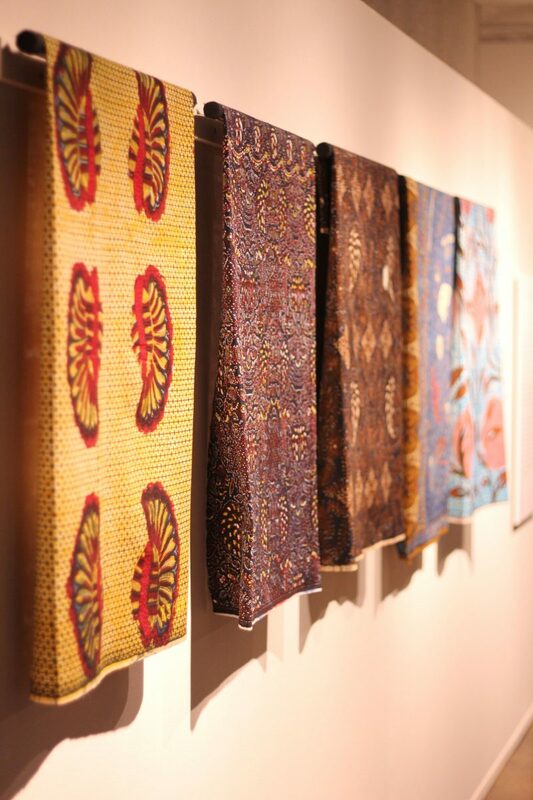 The exhibition features four sections , starting with the history of these ethnic textiles including 100 archival and contemporary cloths from Europe, Asia, and Africa. 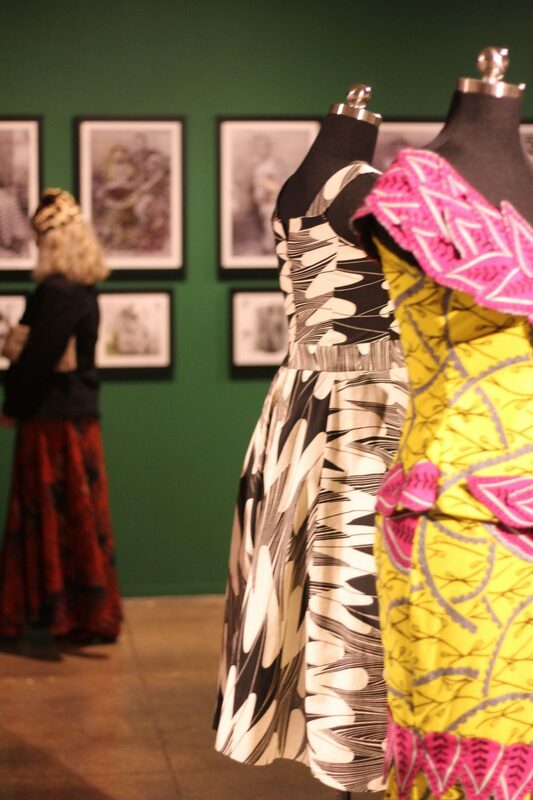 There’s also a gallery of photographs from the 1960s and 1970s showcasing African Print fashion, runway videos, and works from visual artists along with impeccably tailored fashions. 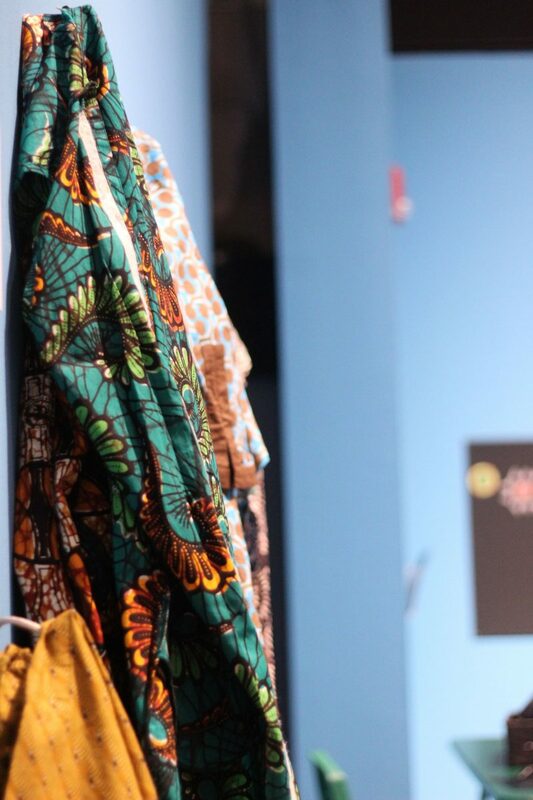 It was amazing to see the different prints come to life in the form of dresses, headwraps, men’s fashions, and even clothes for the kids. Speaking of kids, I loved the interactive area set up for children to explore books on the subject, try on clothes, color, and even learn how to do a headwrap. The atmosphere of the night was exciting, fun, and festive. 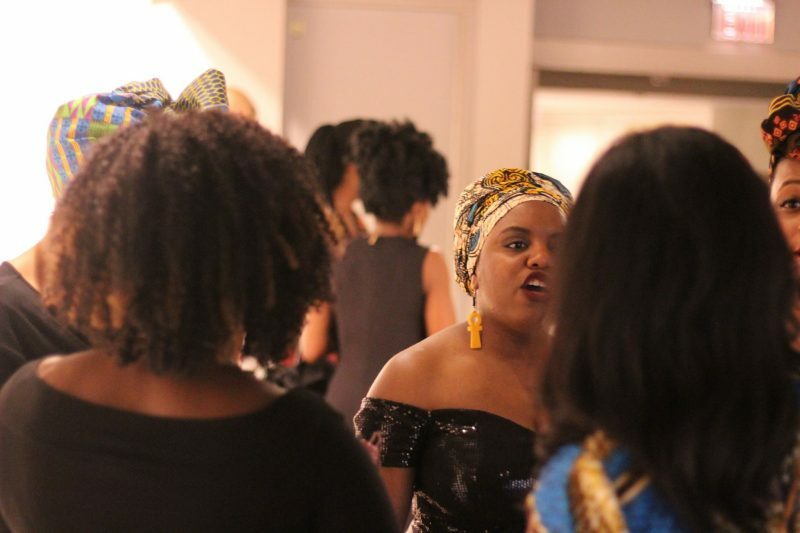 Part of the preview celebration was a DJ and a pop-up fashion show curated by Memphis Fashion Design Netwrok/Memphis Fashion Week. 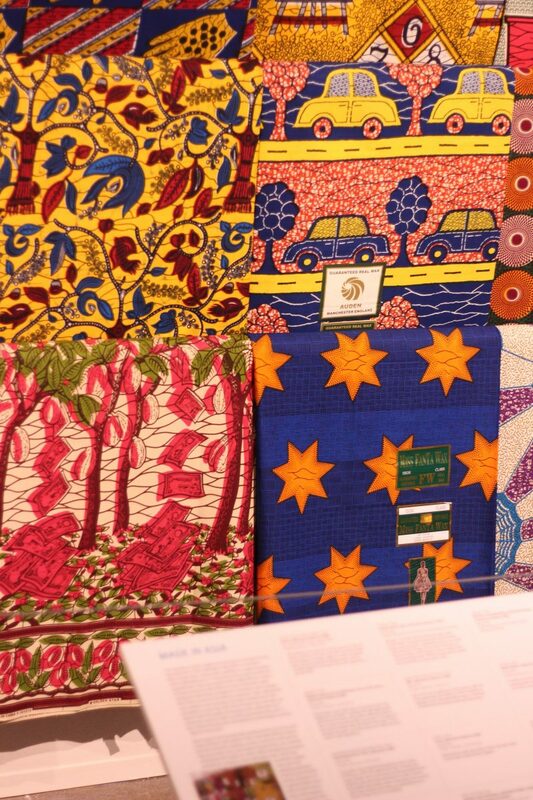 There were three local designers who use these textiles in their designs: ROYALTY by Christina Westbrook, Mbabazi House of Style, and Tanganika by Tangie Seay. 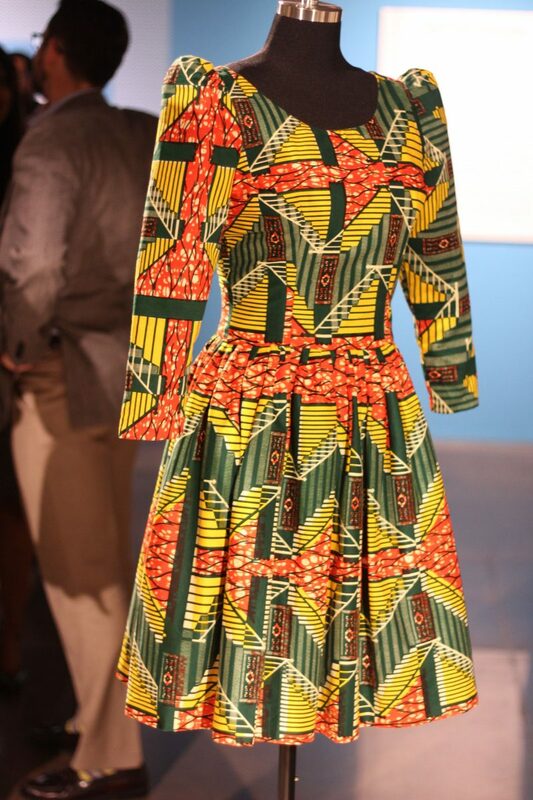 It was very interesting to see how each designer uniquely incorporated the colorful fabrics into each garment. 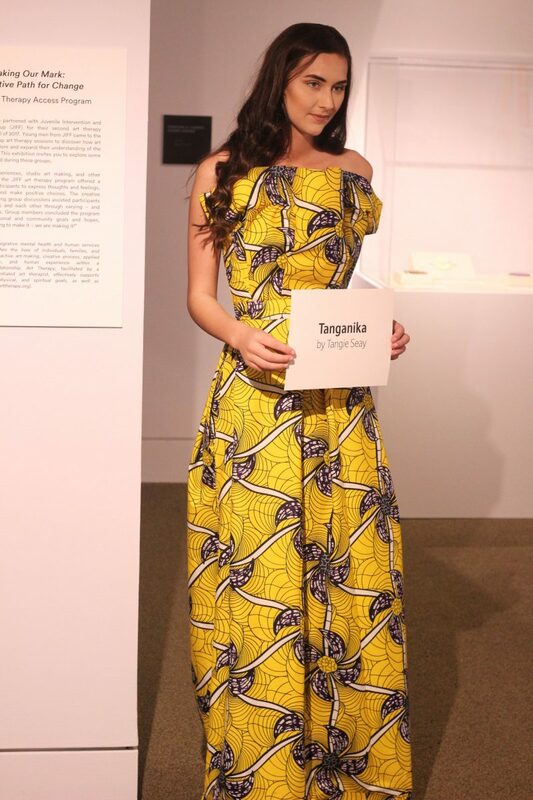 This yellow dress (Tanganika by Tangie) inspired by tulips was my favorite piece of the night. Everyone is still on a Royal Wakandaland/Black Panther high and this event fit right in!!! Some of the patrons looked like walking mannequins and i was totally there/here for it!. 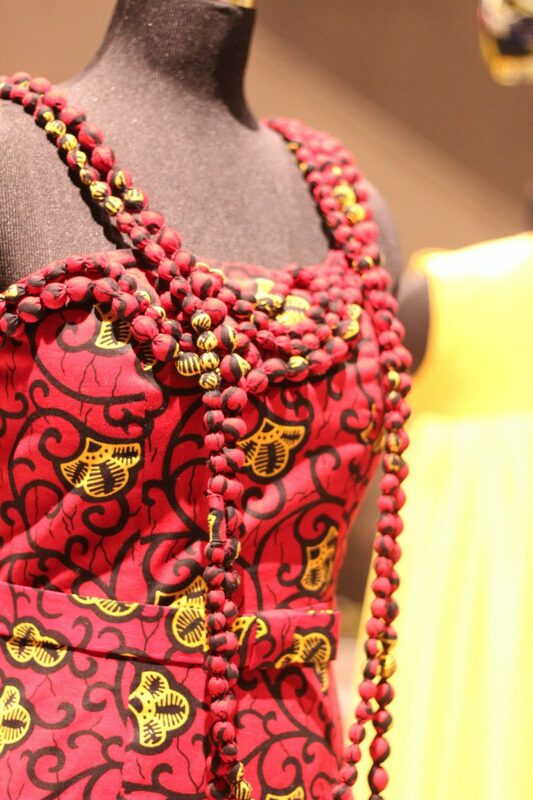 I loved seeing the ankara prints move around the museum amongst the exhibit displays. The true meaning of art coming to life!!! I really wanted to don an Afro-chic look, but I only own a few pieces and nothing would cooperate with me. <Don’t you hate those days when you tear the closet up and nothing works?? 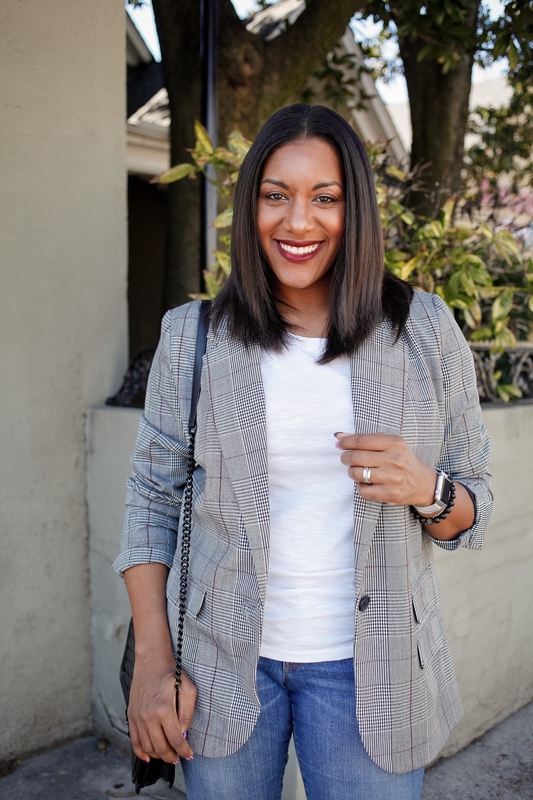 ?> At any rate, I ended up going with a simple printed kimono and black jumpsuit combination (full post coming soon to the blog…see IG picture HERE). It was comfortable and perfect for the artsy occasion. According to Q, this unique exhibit is an absolute MUST SEE! The entire display is vibrant, detailed, and visually stunning. There was something for men, women, and children so don’t leave the family behind. The exhibition will be displayed at The Brooks Museum of Art through August 2018. For more information and tickets, go to the museum’s website: brooksmuseum.org. Be sure you check it out & let me know what you think! 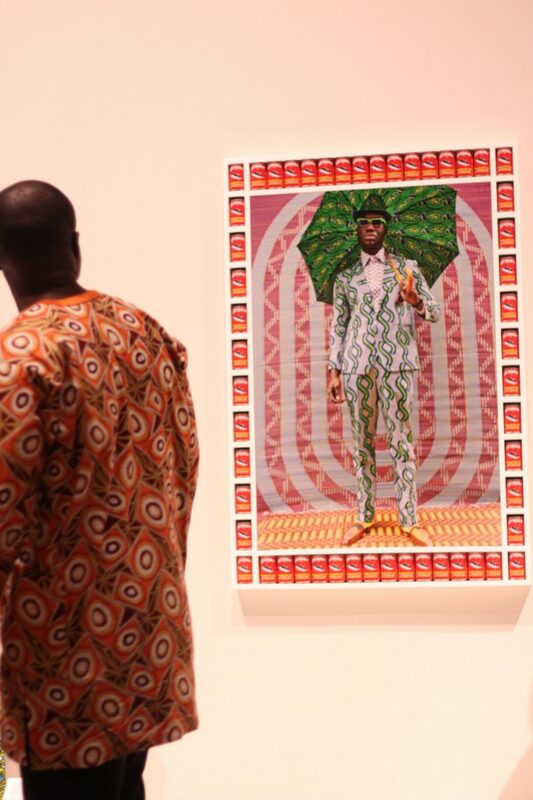 Cheers to those times when art, real life , & culture meet!